Got that right. Forslund has enough color, he doesn't even need a color guy. When you're used to him, anyone else is grey in comparison. Shaya certainly doesn't fill his shoes. Center Ice is the best. Really? That was Joni doing us a solid? Just go ahead and give the Jack Adams award to HCRB! Who has done more with less this year? Claude Julien has to be in the conversation. Joni is our scout in Europe. Weighed heavy on Necas and all the Finns we’ve drafted over the last 4 years. With Ned in goal, its 3-0 Checkers in the 2nd. Big guys cycling along boards, thats been the difference this year. That was one of the trademarks of the 06 team. had a couple of scoring chances , but the period was mostly dominated by dalas . as long as we win that's all that matters , but come march the canes need to dominate the games because that will be the teams toughest schedule ! 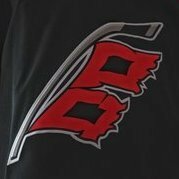 Checkers and Canes have a shutout going through 2. Gauthier has scored for the Checkers, his 15th. Marley girl gave us her blessing tonight , LETS GET THE WIN TONIGHT ! Dallas has had their chances. We look like the B2B team in the 2nd. Got to find a 2nd wind in the 3rd. Don’t know we can survive 2 periods like the 2nd. hey sometimes you have to win games you dont get as many shots. We have had too many losses where we dominate that category. By the way, Montreal about to lose. We could be 1 back of them with 2 pts tonight. However, Chicago not helping us against the jackets. Pitts and Montreal both play tomorrow too. If we do win tonight, it would be nice to hang onto a playoff spot so lets go Rags, who play pittsburgh tomorrow. A few thoughts after two. Mrazek is making me believe tonight. Between him and a lot of luck, we're still up. I was wrong about the Canes getting to their game today. This game is just like last night. Luckily when we had our chances early they went in. The last two games we have had that short burst, then generated very little for the rest of the game. It will take a lot more luck if we can't get to more offense in the third. Is this a long term problem. I don't know, but I hope not. I think Shaya is fine. He's not John, but he could be worse. He pointed out the paltry shot total, and Trip just blew right past it. One thing though. And I know he's not the one to originate it, but a pet peave of mine is the constant calling out what direction on the screen the players are going. "Canes break out, left to right." Why? If I'm watching on TV I can see what direction it is, not that I care, but if I'm on the radio I really don't care. BTW in the arena whether it's left to right or not, depends on which side of the ice you're sitting on. If he asked my advice I'd say to drop that. OK let's get this one. BTW it's not just shots, we're not getting chances and they are getting a lot of chances. And that was true last night, and no that can't continue if we're really going to get this done in the remaining games. That said, if we can get away with it and win, then we just have to find our game next time. But we have to find our game soon. that pet peave can be easily explained , the game is simulcasted so people on the road can know after they fired the legend ! The tv crew has to give some description of the play because of the simulcast. Radio folks need a nugget every once in a while to know what is going on. I think its a process for the boys to learn they can win when they dont have it. You arent gonna have it every night. Goaltending sometimes wins games. I notice a lot of games the Islanders get out shot and chanced and win and I think our offense is better than theirs. Hopefully they pull this win out with a great 3rd and they hammer home some of these issues leading up to the Rangers.